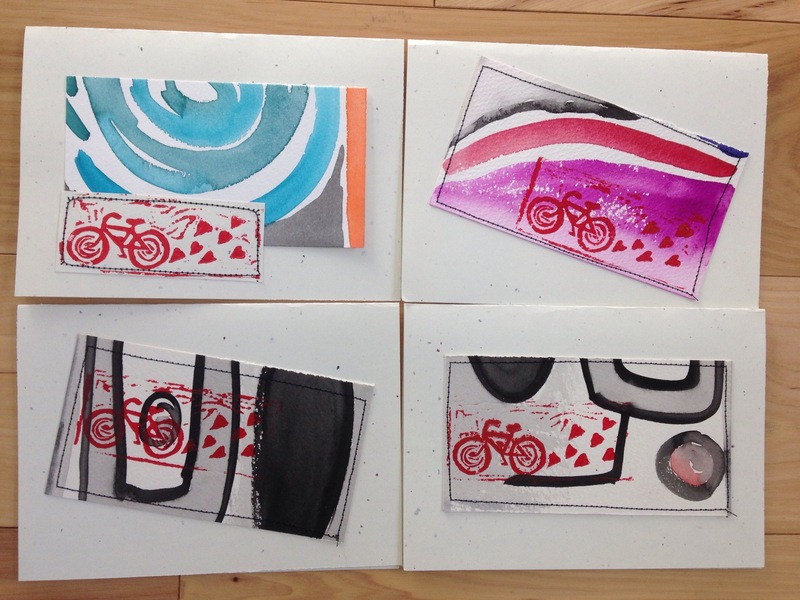 This year’s Valentines have a bike theme going on. I made this fun little stamp a couple weekends ago while Greta was working on her bicycle and heart print. Or was that last weekend? I don’t know…this time of year just escapes me. 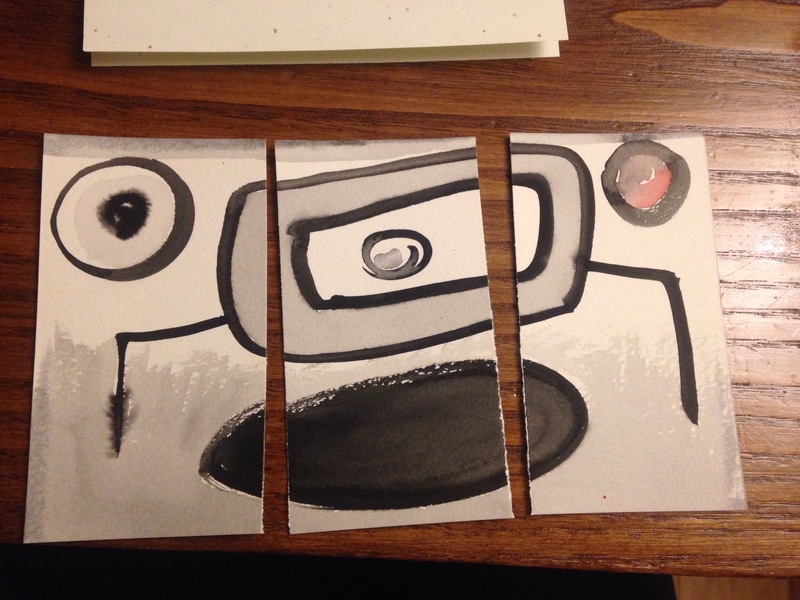 I started off my Valentines with some fun abstract watercolor paintings. 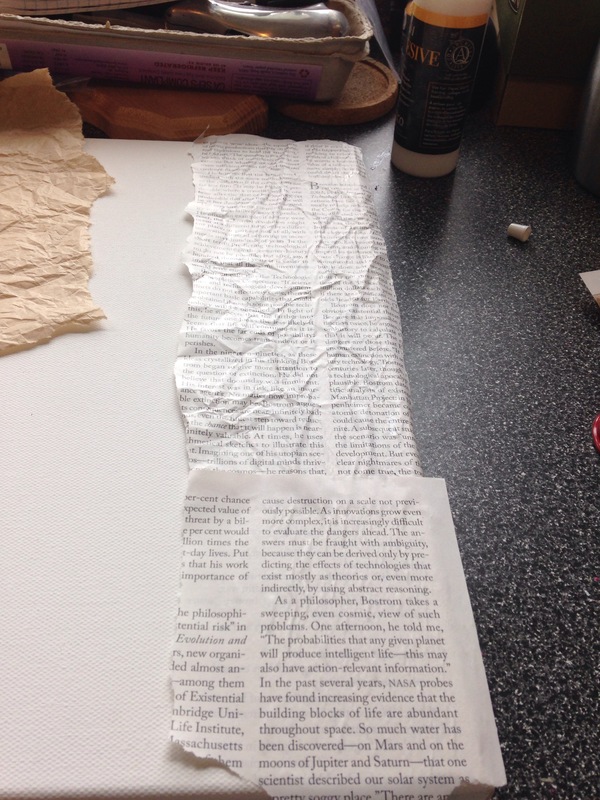 Once dry, I spliced them into sections. 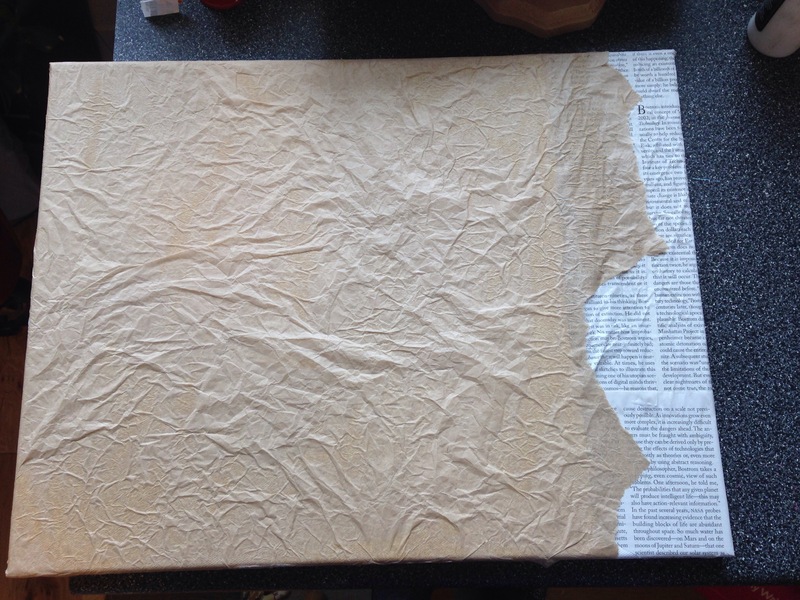 I attached the paintings to card stock with glue and by sewing machine. Then, added small stamped bicycles to them. 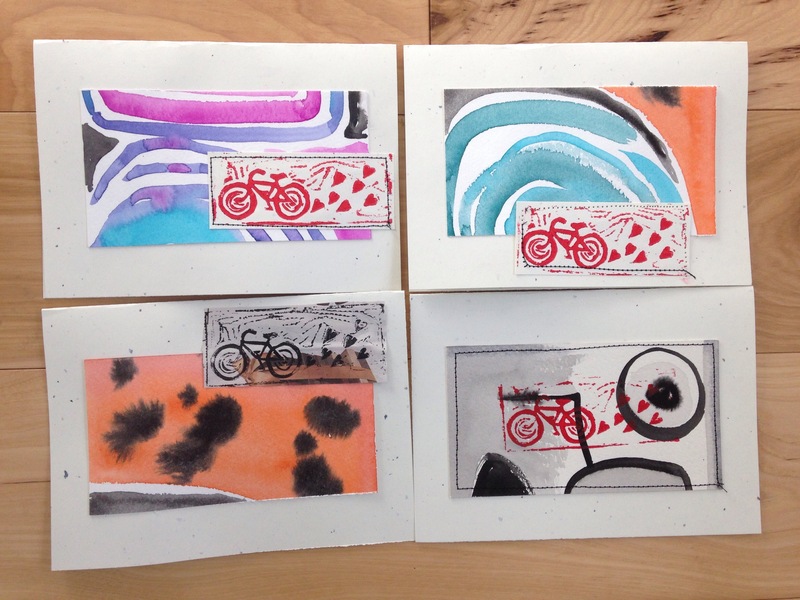 On some of the cards, I stamped the bike directly on the painting. Those ones turned out fine, but the bicycle ended up being a little hidden. Greta had fun adding embellishments and her signature to her cards. I love her ideas on what needed to be glued down! 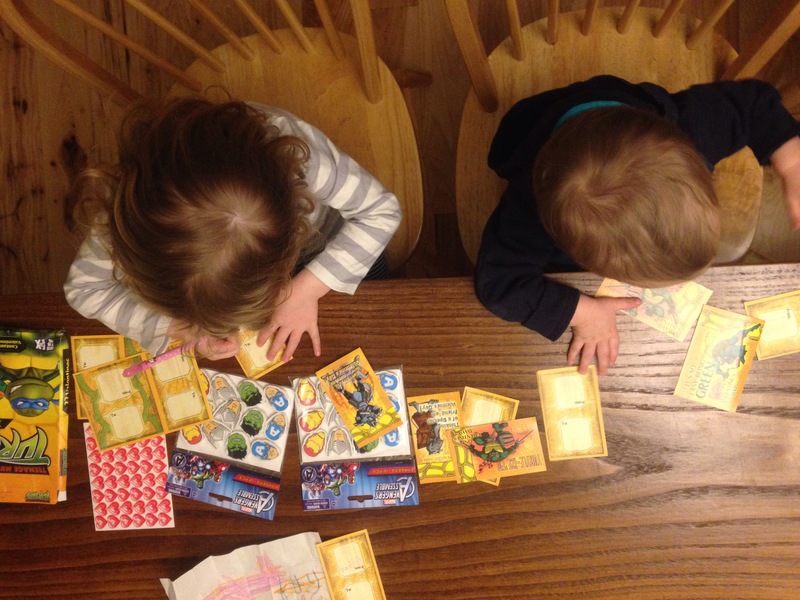 These are my two little Valentines, working hard at the kitchen table the other night. The oldest was busy signing away – she opted for Ninja Turtle and Little Mermaid cards for her school buddies. Meanwhile, little brother is sliding and throwing her Valentines on the floor. This is me this morning at work – I survived yet another year of teaching during the Valentine season – today were the element kids’ Valentine parties. 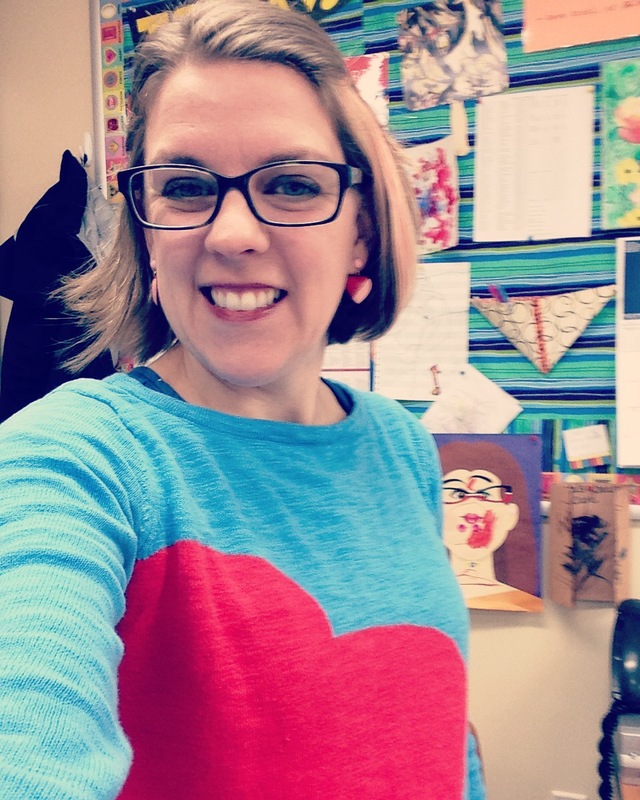 In the spirit, I decked myself out in my heart sweater (old one from Target!) and my heart earrings that my mom gave me way back in 8th grade. They were sort of a big deal, because they were dangly and not just studs. I cannot believe I still have them. My hubby and I are not much into gifts, cards, or any of the likes for Valentine’s Day, but whether you celebrate or not, Happy Valentine’s Day, y’all! 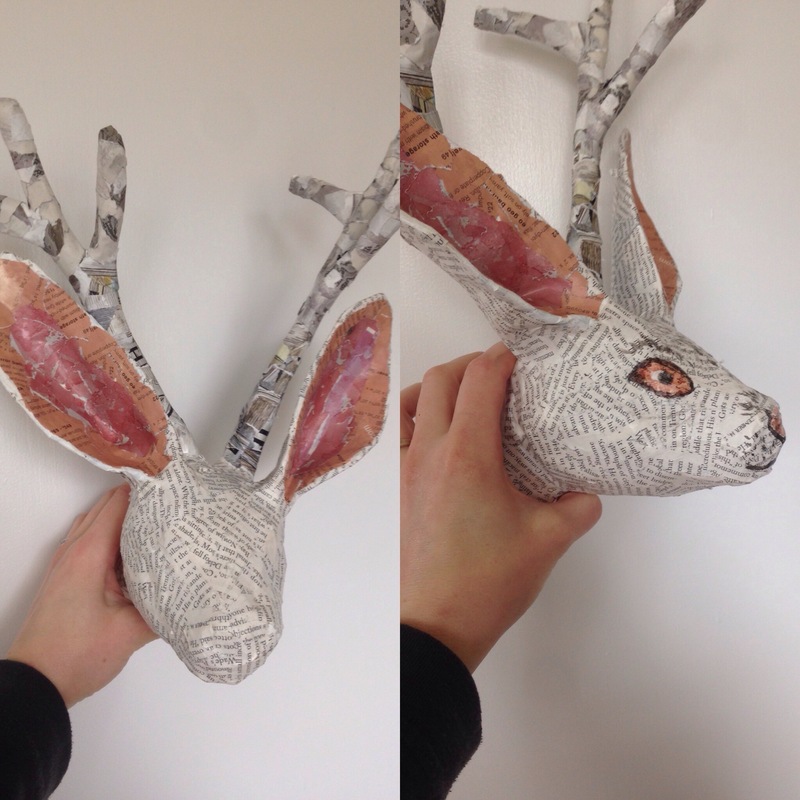 One of the best things about being an art teacher is the experimentation with materials and media in preparation for projects. Lately, I have been into printmaking and stamping. 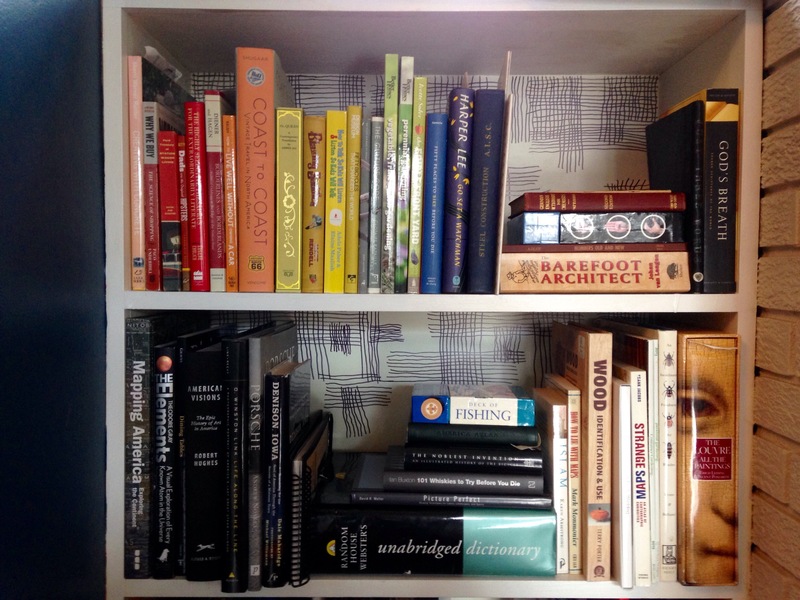 As my own kids get older, I often use them as guinea pigs for upcoming lessons at school. 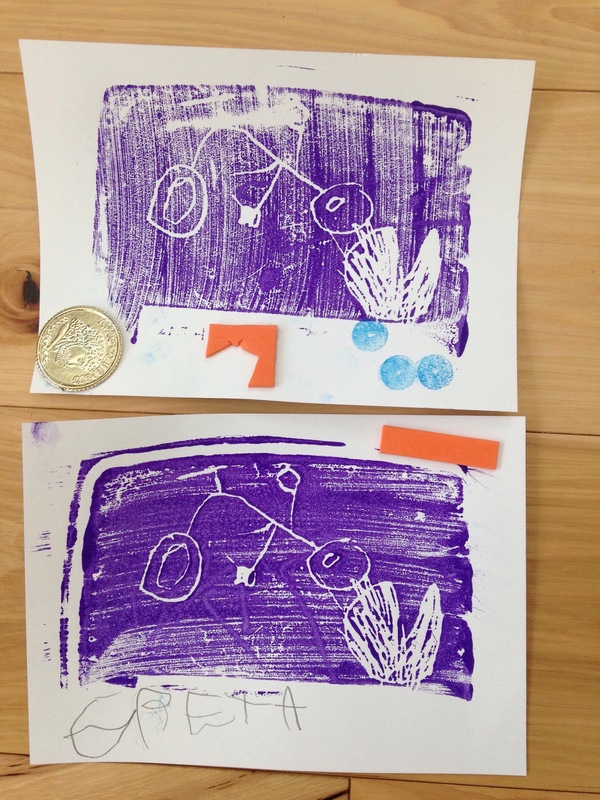 The past few weeks, we have been experimenting with stamps and printmaking. 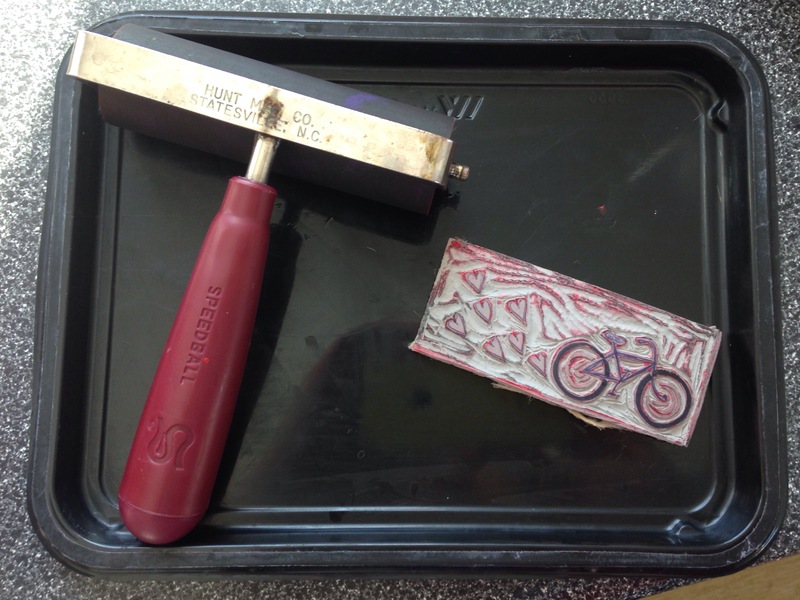 For further reading, I recommend a book called, Print & Stamp Lab: 52 Ideas for Handmade, Upcycled Print Tools (Lab Series) , that I have in my classroom. The image above, is the block stamp we made with a variety of materials – foam shape stickers, paper clips, a button, and pieces of pipe cleaner. They are all attached to a scrap of wood with hot glue. For twice the fun, I made the stamp two-sided. We also tried DIY stamps from the trash bin – sturdy plastic caps are great for affixing Geometric Self-Adhesive Foam Shapes . Wooden spools can turned on their sides and rolled, to make lines, or items can be affixed to the ends, in the same manner as the cap and wooden block stamps. We have also been using pre-made, everyday items to stamp. Above you see, small erasers in interesting shapes, a foam ear plug, and a cork. All of these can be used as is, or carved into to create designs in relief. Our favorite project so far, was using clean foam take-out boxes and cutting them into squares. 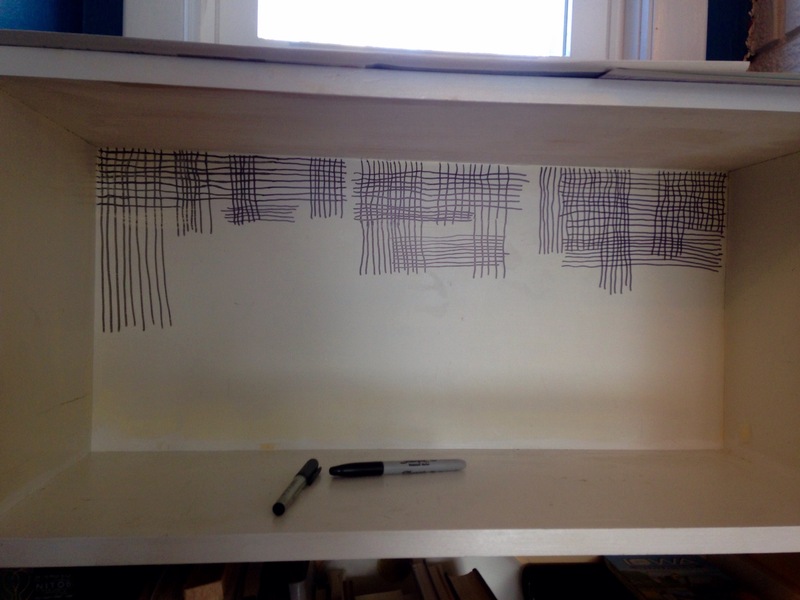 Then, my daughter drew into the foam with a pencil, pressing hard to make deep lines. 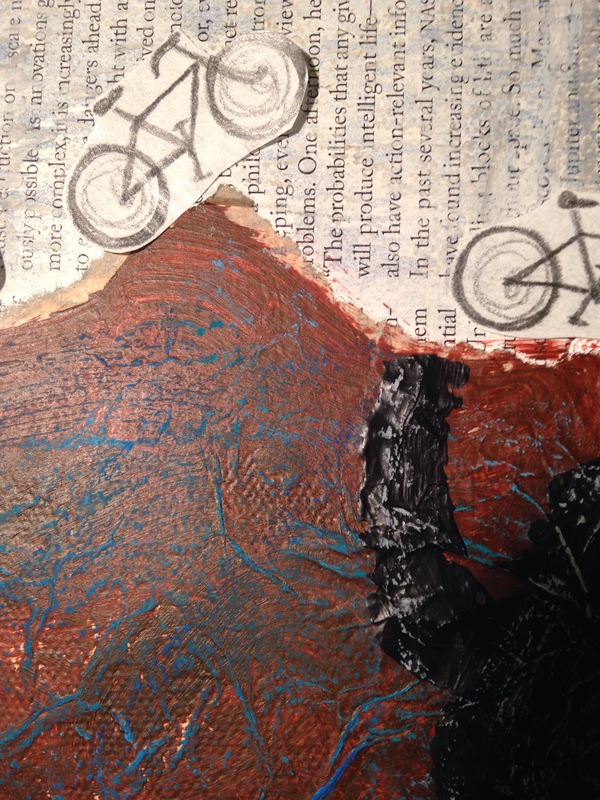 Her motif for this print is a bicycle and a heart. No take-out boxes? You can buy foam trays too. 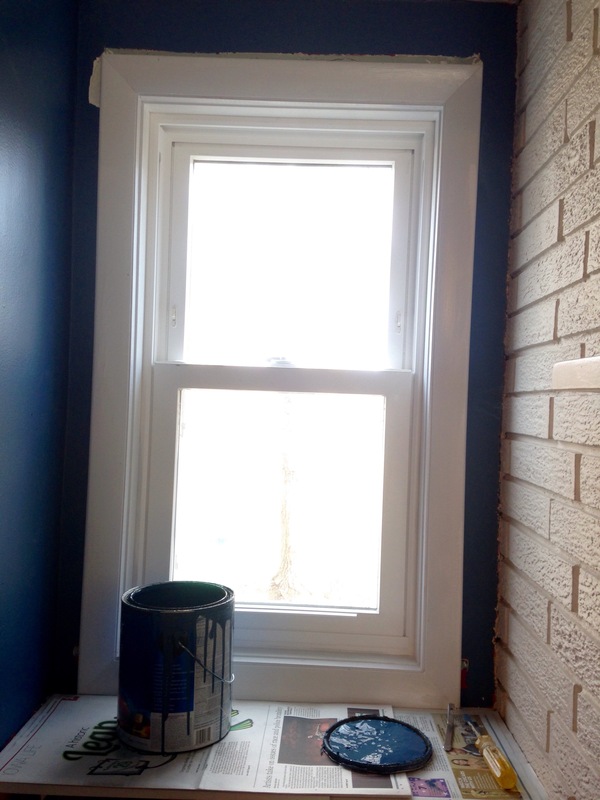 She then painted over the foam with tempera paint and a wide paintbrush. 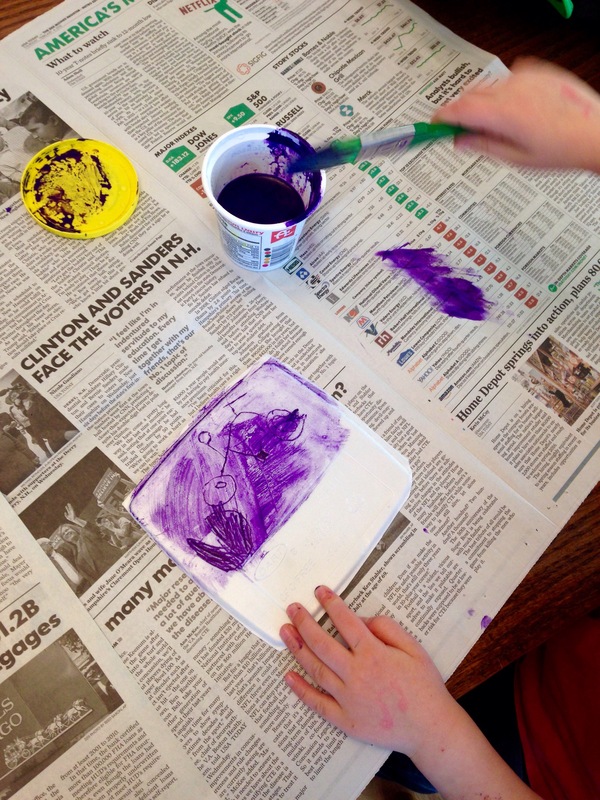 I cut papers into 5×7″ rectangles and showed her how to use her hands to smooth the paper and create a print. After her prints were dry, she signed all of them and added some stickers for flair. Can we say easy homemade Valentine’s?